It's a quick and dirty episode today as DiRT is trying to spend time with his family, but he takes a short time out to talk about tonight's Friday Night Smackdown! Monday Night Raw + Rowdy Roddy Piper + Madison Square Gardens = WIN!. For the first time, Jericho goes one on one with The Undertaker. ON FREE TV. 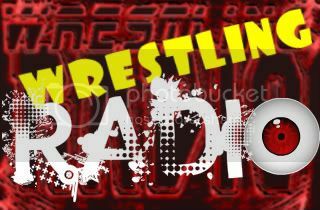 Monday Night RAW hosted by Ricky Fatton. What does that even mean?! Friday Night Smackdown is pretty good, OK, decent, fine, pretty bad, ok, and not good. But which part is which? It’s a Crazy Train on RAW as Ozzy and Sharon Osbourne hit the scene, but will the Prince of Darkness turn Monday Night into The Ultimate Sin?